It was crazy>thinking those weather forecasters might have it right. 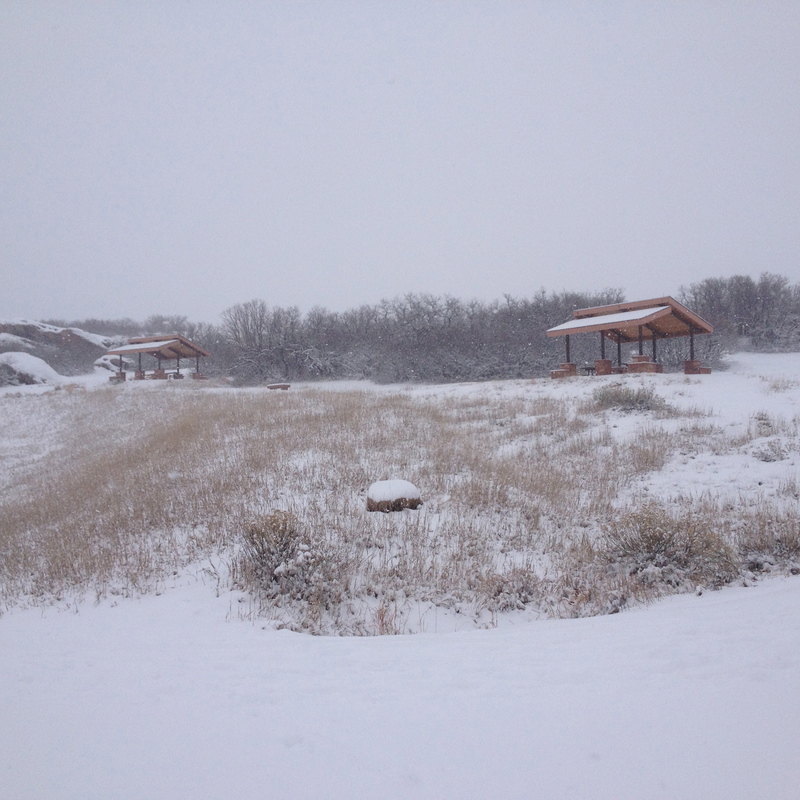 I laughed when Al Roker on the Today show said we would get 6-10 inches of snow on Saturday, because our weather people were saying trace amounts… maybe 2 inches on the front range at the most. Plus it was like 62 degrees on Friday so how bad could it be? Apparently way worse than I thought, especially for my civic. That was bad decision #1, taking my Civic and not our CRV. This super nice guy driving past asked if we were ok and I said um…. I think we are stuck. He acted as a spotter while I drove down the road in reverse, taking advantage of gravity to get unstuck. Thank goodness for physics! When we got back on the road he seriously offered to drive us up to where we needed to go. How nice is that!?!?!? We didn’t take him up on his offer but instead hit South Valley Ranch on the road back towards home, a park I honestly thought I would never hike. South Valley Ranch is a pretty easy hike with a simple 2.5 mile loop and almost no elevation gain, but the parking lot is totally flat and on the same level as the road for a hopefully easy out. AKA perfect in bad weather for a low clearance Civic. As we bundled up, I was super stressed about not being able to get out ever (drama queen) and thinking who do I know that lives close to here that I could hike to if we get stuck. In case you’re wondering, I have 2 friends a few miles away we could have hiked to if necessary. 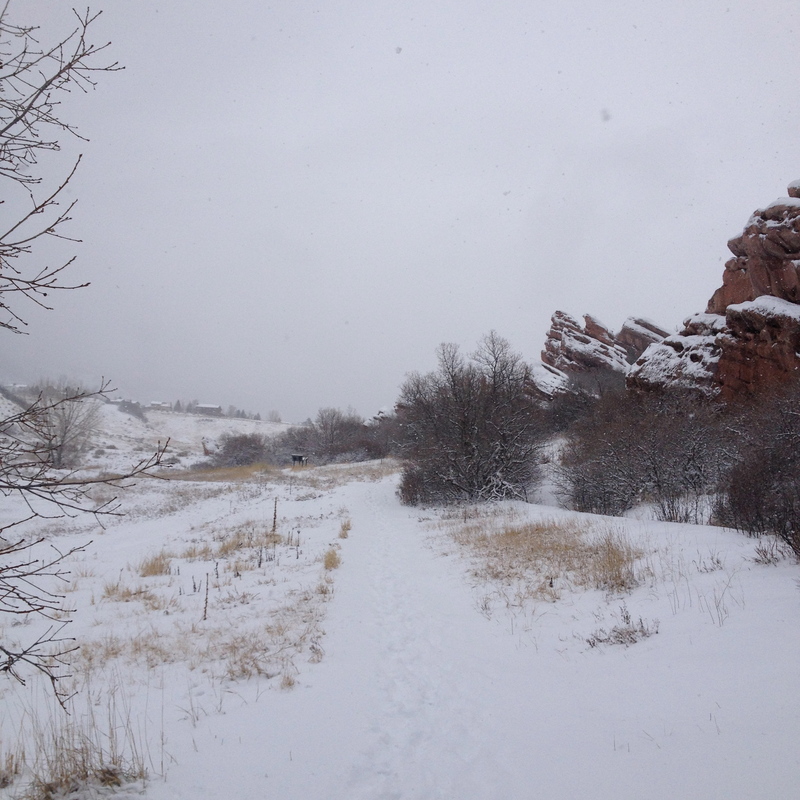 The trail starts out on the right of the parking lot, even with the snow it seemed pretty wide and level. In just .4 miles you hit the first trail break and we decided to go left, it is a simple loop so left or right is about the same. The first time through we could actually see Lockheed Martin and the community directly North of the park plus some of the mountains south of us on the trail. The snow was surprisingly deep too, like 3-4 inches, stupid weather people. 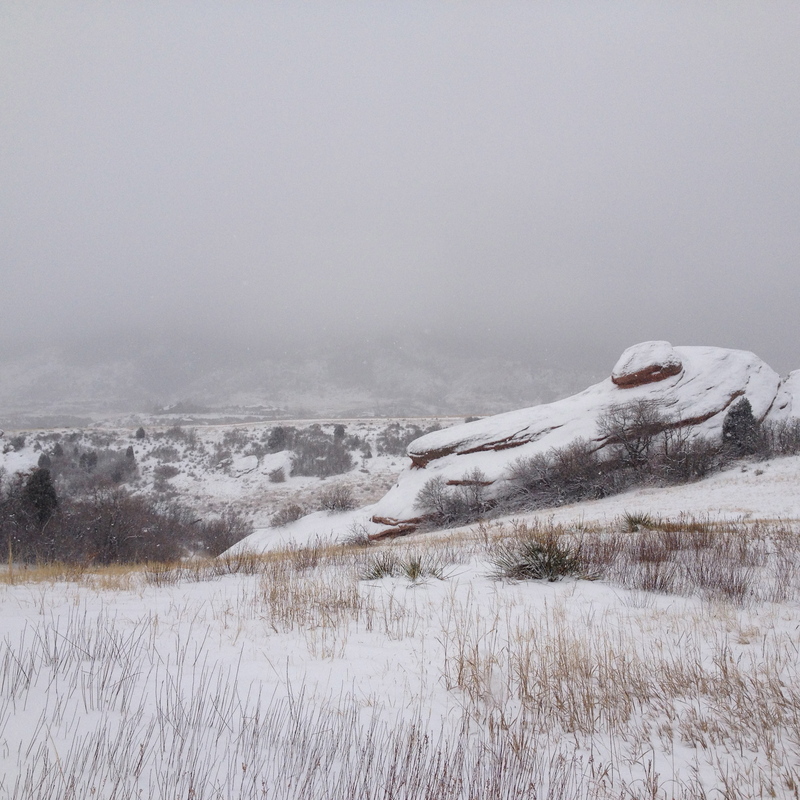 It was actually a lovely hike and we had it mostly to ourselves, I guess others were making smarter decisions about going out in the bad weather then I was. 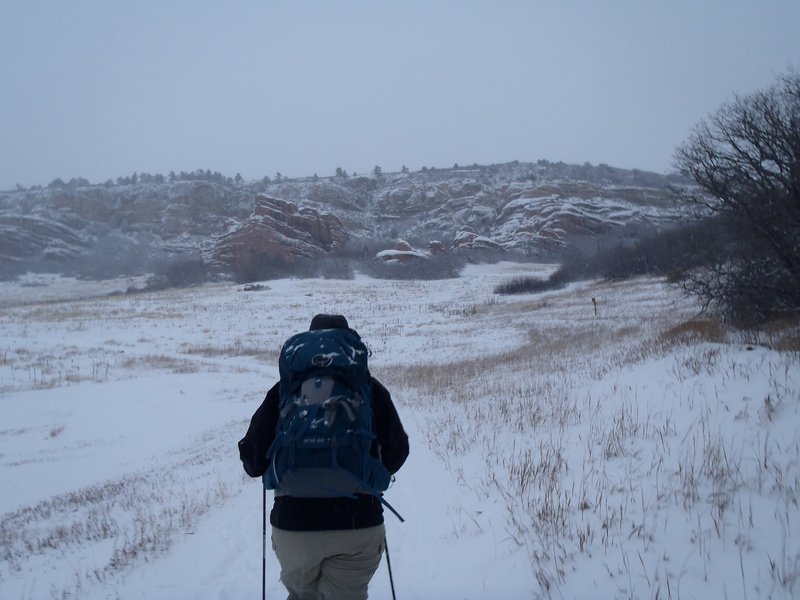 We came up to this other trail break where, if the weather was better I think we could have taken it all the way to Deer Creek Canyon. It is not too far to the 2nd parking lot which actually had more cars than I expected. We just went up and past this cute picnic area, I suspect in better weather employees from Lockheed Martin spend a lot of time over here. 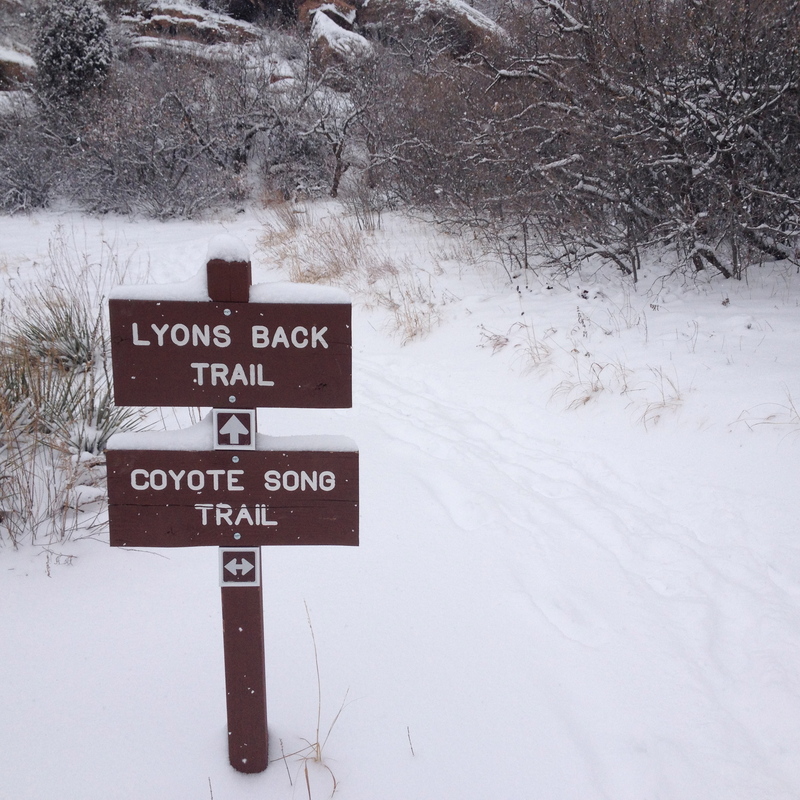 From here we came to the Coyote Song Trail which looks like it goes further north and perhaps up along the hogbacks. I think another time we might have explored further but for this hike we just did the simple loop. We came across one more trail spike that looked intriguing but again just stayed on the loop. The Loop the first time around was interesting, with the snow giving a nice challenge to an otherwise easy trail. We got back to the car at exactly 1 hour and we stopped a few times to adjust stuff. We did a quick survey of the car to see how much snow had fallen in that hour and decided to go around again. 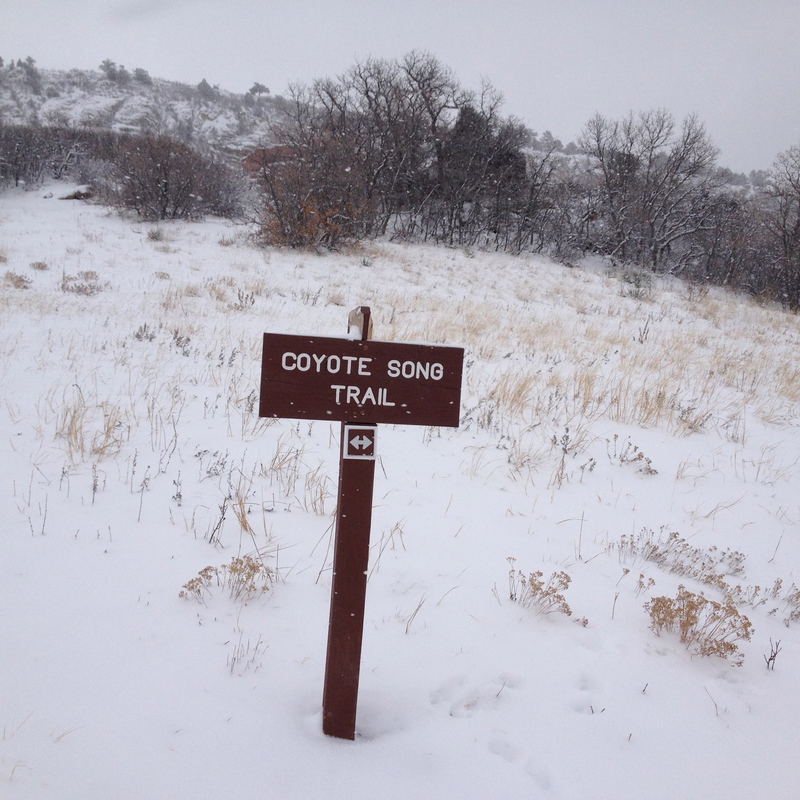 As we topped the one climb in the beginning, the snow increased significantly. We could no longer see Lockheed Martin or the Neighborhood to the north we saw on the first loop, then I noticed that our foot prints from the first time around had a lot of snow in it. I drama queened it up and practically ran the second loop, worried I would get stuck again. We worked up a crazy sweat and there were even less people the second time around. We finished in just 45 minutes, thankfully got the car out and home, no problem. 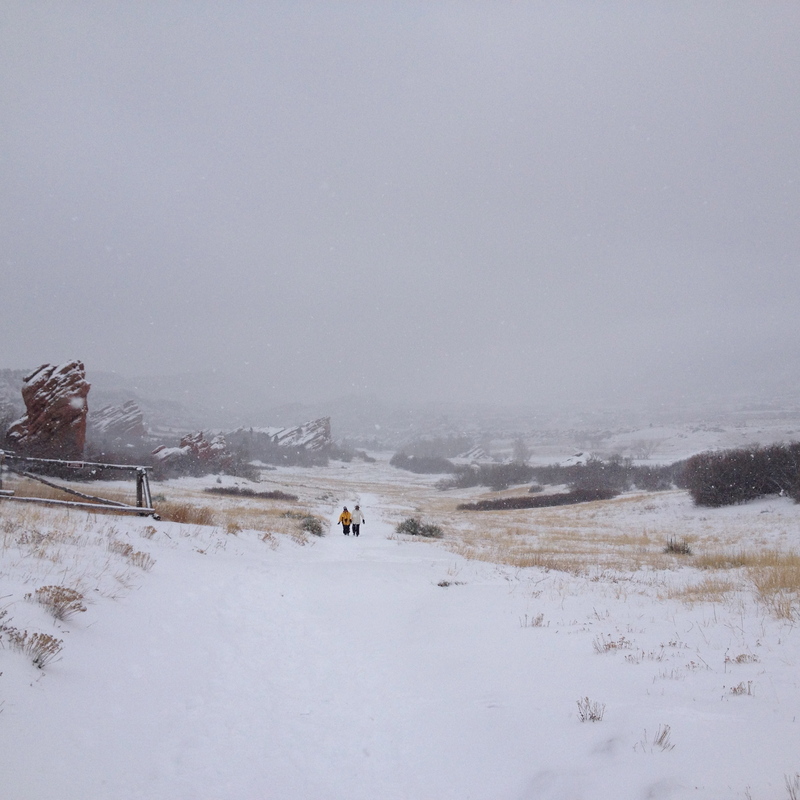 The park reminded m e a lot of Fountain Valley Trail ( hike details here) at Roxborough, even the way the huge rocks were shaped along the trail. 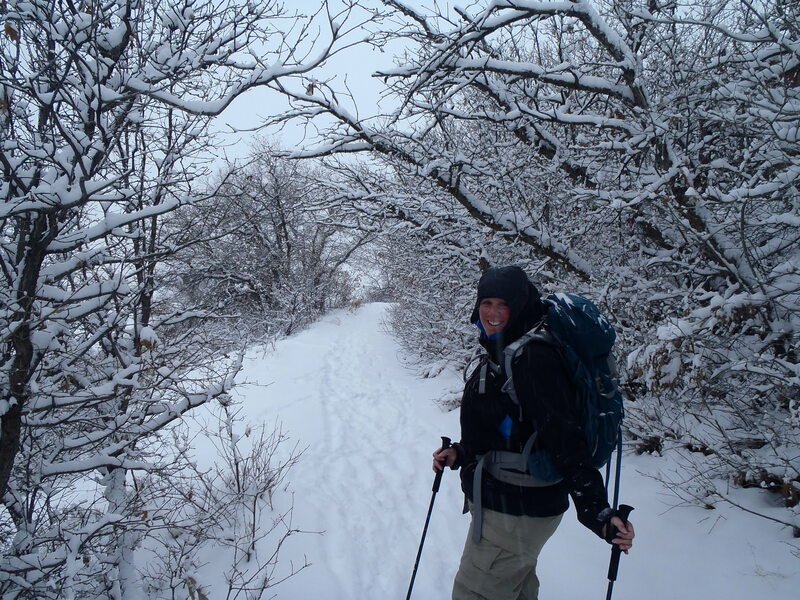 I have gotten over my disinterest towards this hike, it would be great place to try cross-country skiing out and a good easy hiking day location, with doing more loops to extend your workout. On this day the weather helped increase its loveliness but I suspect on sunny days the views might be a little boring and it is totally exposed so sunblock it up. I am willing to give this open space another shot, we may even do it this Sunday to get 2 hikes in this weekend… who knows! 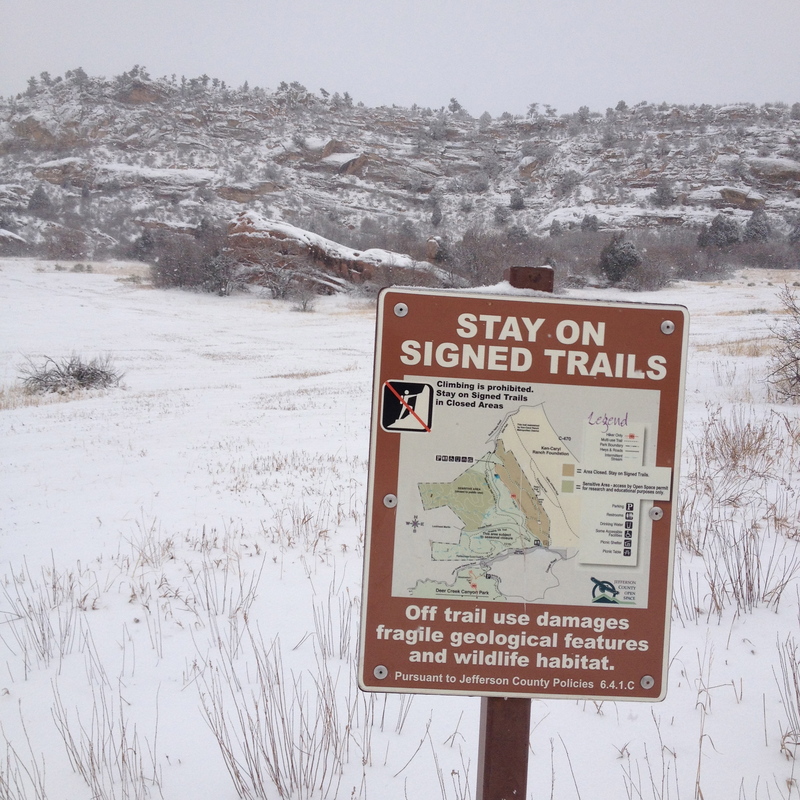 Main Trailhead: 90 South Valley Road, Littleton. 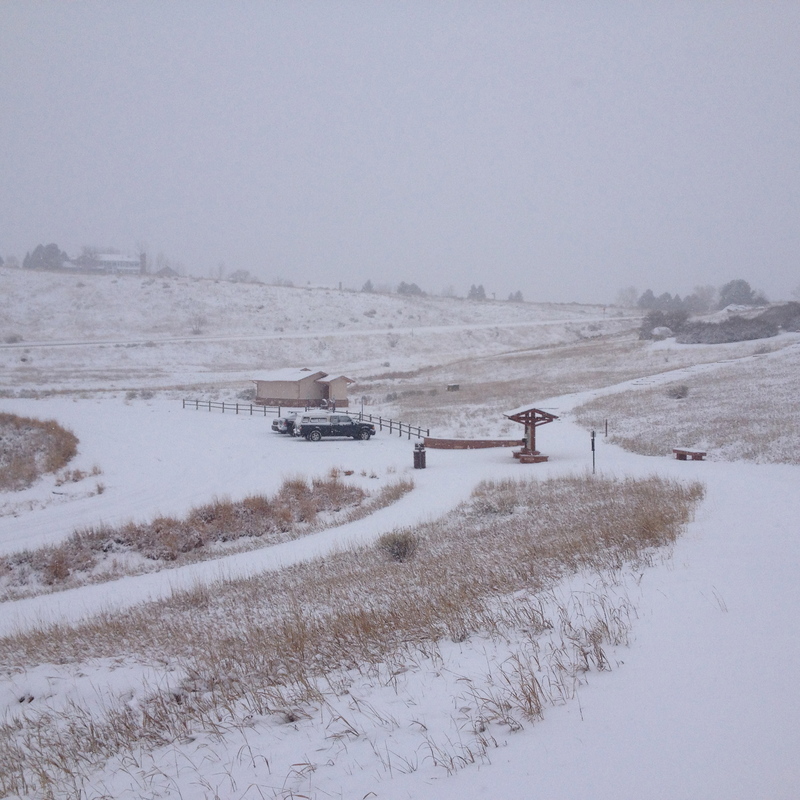 From C-470, exit westbound on Ken Caryl Avenue. 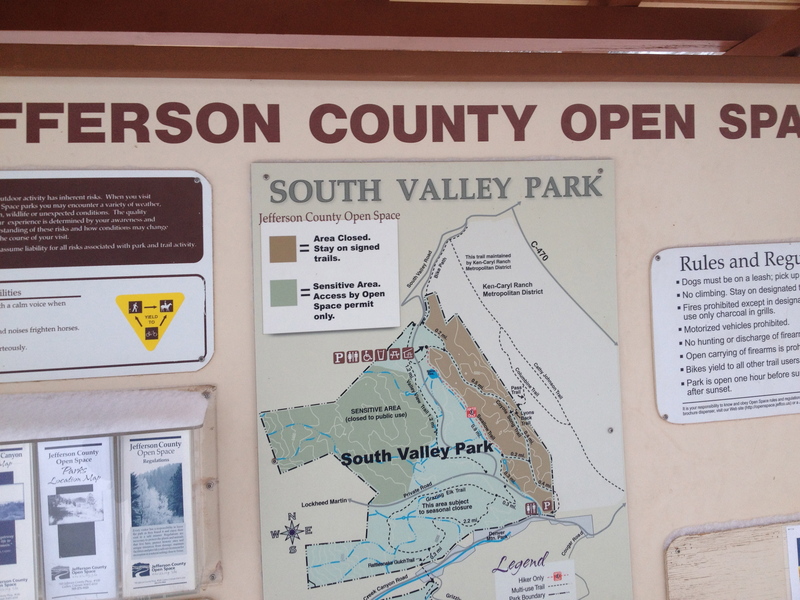 Turn left onto South Valley Road to the park’s north parking area. 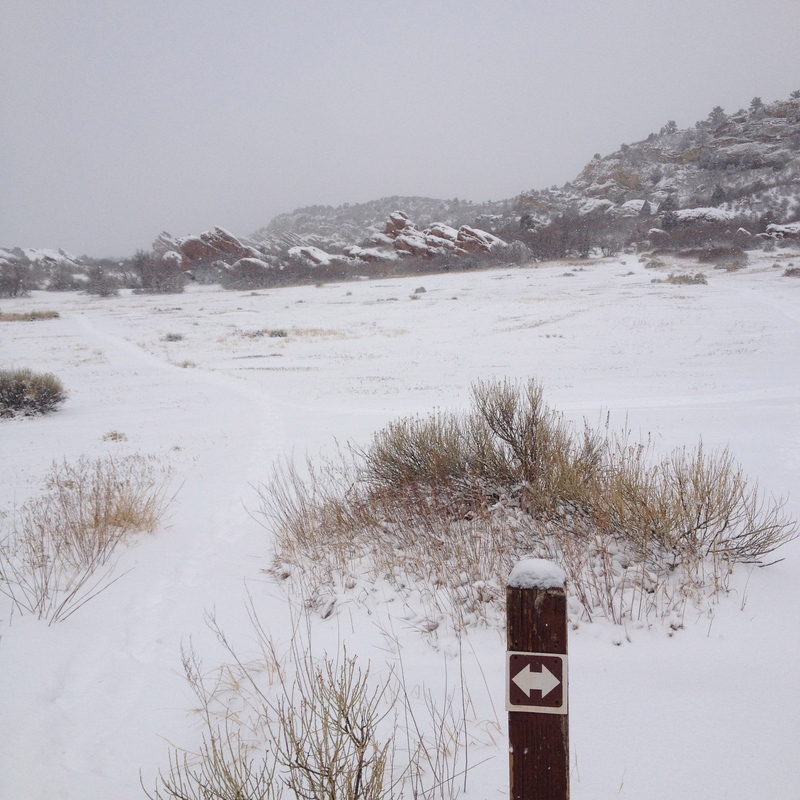 South Trailhead: 12399 Deer Creek Canyon Road, Littleton. 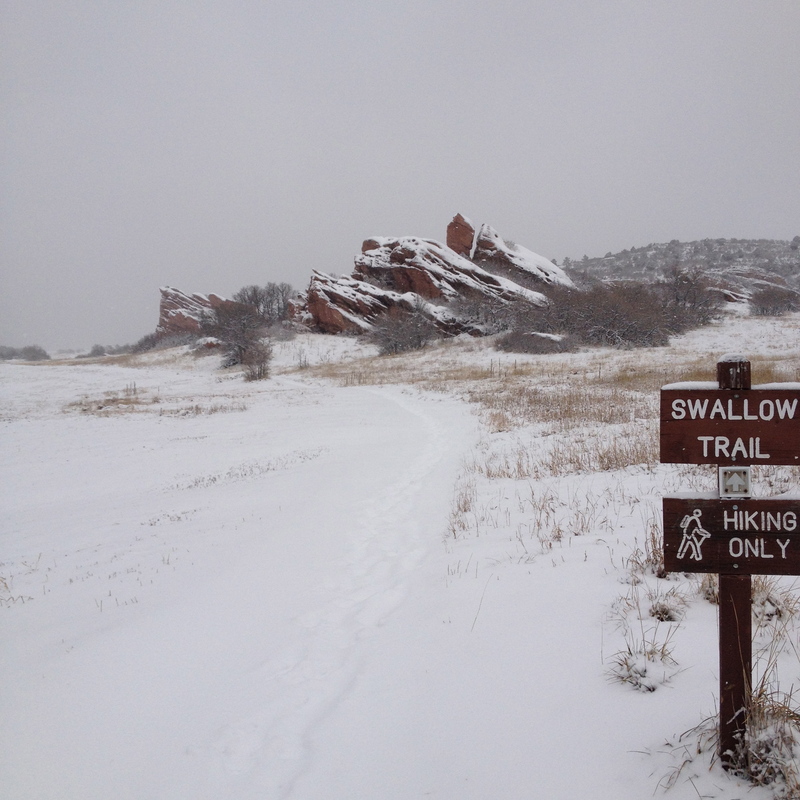 From South Platte Canyon Road (S. Wadsworth and C-470), take Deer Creek Canyon Road west to the smaller parking area. So pretty with snow! Love the new look to your blog BTW. Thanks Heather! It was really pretty in the snow, I loved it! Good on you for getting out despite the bad weather! Thanks! We are taking the CRV tomorrow for sure as snow is expected tonight… no more getting stuck in front of judgmental Deer! Yikes! Stalked by a mountain lion is not fun! No, but we never saw it. Scary for sure. 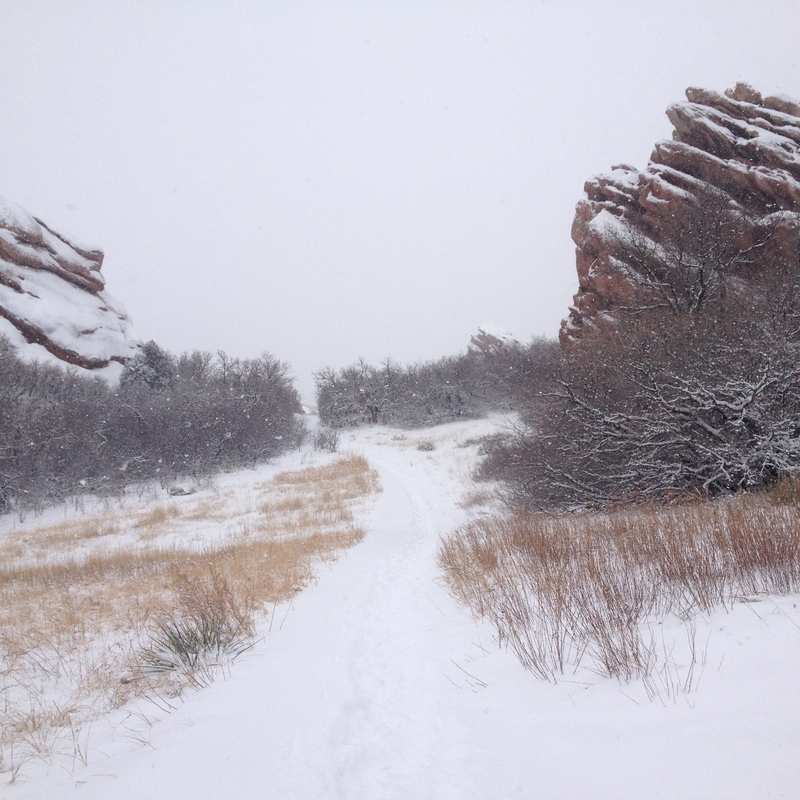 I wanted to recommend the Anne U White Trail to you in Boulder. You and your husband would love it. Ohhh Thank you! I will Check it out!